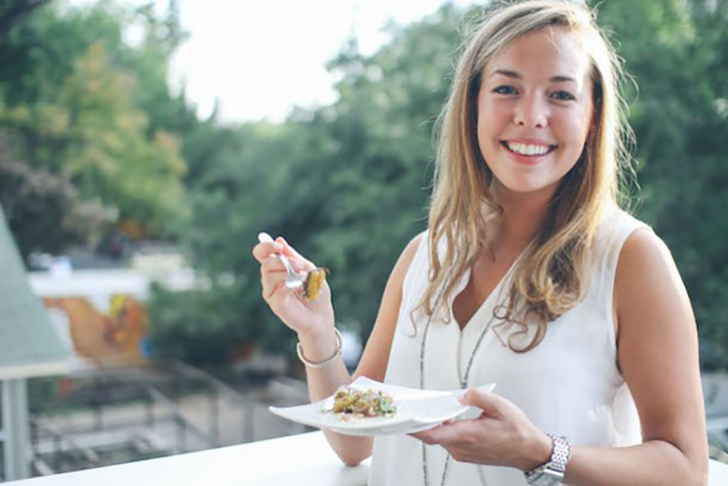 Cara Greenstein is the Memphis-based writer behind Caramelized, a lifestyle blog that’s chock-full of recipes, inspiration and travel guides. Cara practices public relations at an ad agency by day and writes recipes and restaurant critiques by night. We connected with Cara this fall and gave her the opportunity to preview our new assortment of American-made accessories. She created a pin board of her favorite pieces and beautifully incorporated them into an entertaining story that gave tips and tricks on how to host holiday guests. Mini china tea sets from all over the world. More recently, my apron collection has quickly grown. My cowboy boots. The “notes” app on my iPhone (so I can add restaurants, ingredients and inspirational phrases to my never-ending to-do lists). Avocados. My mother and father, while immensely different in their careers and personalities, have taught and motivated me in ways I cannot properly articulate. Wedding-planner mother’s creativity, strength and dedication; my rabbi father’s passion, empathy and charisma. I strive to embody at least a few of these qualities. If you could live in any city is the world, where would you choose? Paris. I spent one summer in the City of Lights and immensely miss its culture; particularly, the brie-and-baguette diet. The Saint German de Prés neighborhood is the sweetest places I’ve ever encountered. A hair tie amongst my daily arm party. With naturally curly hair, you never know what will ensue after a day in the office or kitchen. A big bowl of bucatini pasta with butter and parm. The Yellow Table Cookbook by Anna Watson Carl. Blackberry Farm on the other side of Tennessee. The resort is absolutely breathtaking and seems, to me, like the closest thing to heaven.